In order to bring young people closer to the activist spirit, the Association of Citizens for the Promotion of Roma Education, “Otaharin”, currently implements a project named “Youth power rising”. Through this project we organize three youth camps in three years with support of the Schüler Helfen Leben Foundation. Young people represent an extremely important category of the population and are future bearers of change in society; therefore it is necessary to pay adequate attention to their needs, attitudes and desires, as well as support the development of youth activism. The youth camp “Turn on activism” is a five-day program in which young people have the opportunity to participate in the development of a strategic plan to solve problems identified in their community and then to solve the problem through the project. The aim of this activity is to promote positive change of everyday life through the active involvement of all young people in creating better social opportunities. 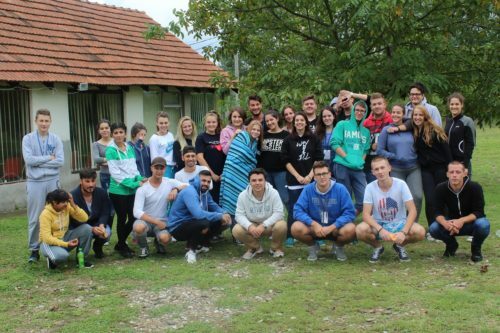 The young people from the City of Bijeljina can participate in the camp. As a result of three years working with this particular group of people (participants of past camps and project activities), we realized their need to create and form a youth organization on local level that will give them the chance to make bigger steps to positive change in community. In this camp, they will work on the strategic plan of this organization, and they will work on increasing their skills in working with a group, positive communication and leadership.